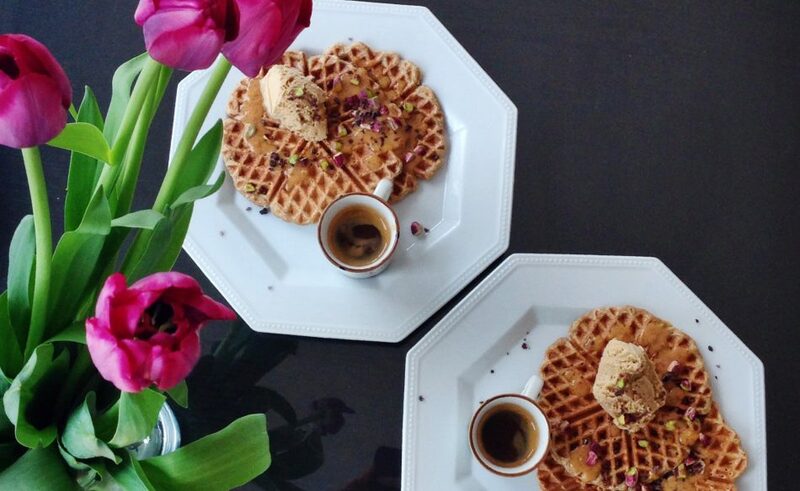 Hi there I am here to save you with your afternoon sweet cravings or mid morning blood sugar drops! 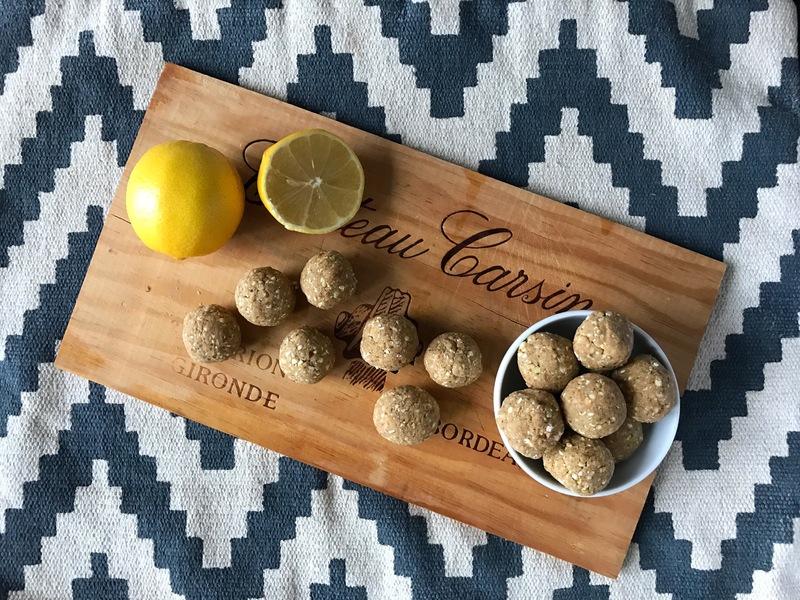 Making these balls, along with my baobab and orange ones, are my every weekend routine for the coming week to make sure I stay away from naughty snacking at work. The problem is though that they are bit too good and I eat them already in the morning and end up hangry in the afternoon anyway haha! Once again peppermint, but it’s just so delicious with nutty buckwheat and spirulina, try yourself! Soak pitted dates for a minimum of 5 minutes in water. Use a food processor to grind buckwheat, pepitas, and almonds to rough even flour. Add in five dates. Save the date infused water. Blend dates with the mixture in the food processor until it is evenly chopped. Add in protein powder and green powder. Infuse 2 drops of essential oil to one tablespoon of date water. Sparkle it around the mixture in food processor. Blend one last time with a food processor. If the texture is not sticking together add another tablespoon of date water. Careful though not to put too much water. 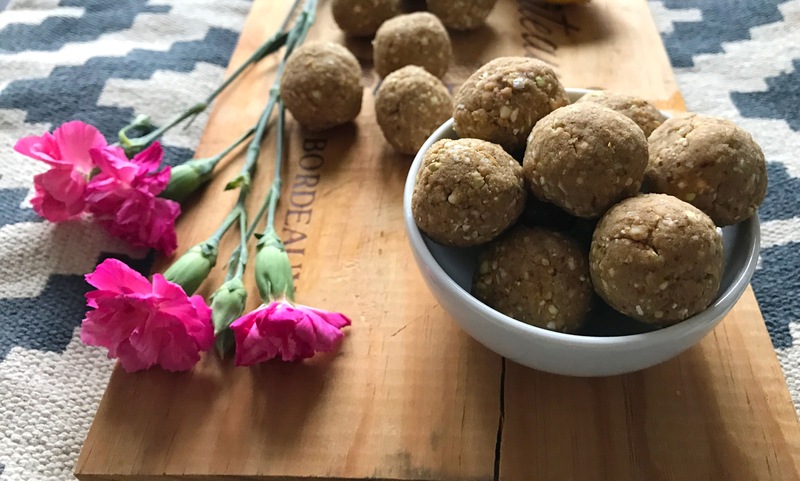 Move mixture to a bowl and add a tablespoon of blended oats to mix and start rolling mixture into balls. I used this product called Puhtikaura (which is basically powdered pre-cooked oats) to roll these balls to give them powdered finish. This is optional though and like I said before, you can use blended oats or almond meal or even cacao for this.